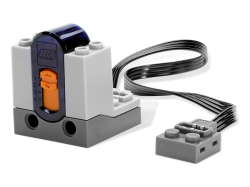 Add even more power to your LEGO® creations! 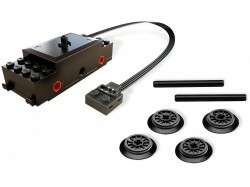 Power Functions motor set includes a M-Motor, battery b..
Power down the tracks!Send your train roaring down the track! 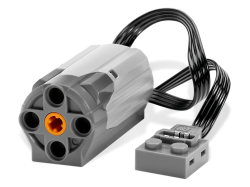 Lay out your tracks, then add this LEG..
Add bright LED lights to your LEGO® Power Functions models to create glowing eyes, illuminated headl..
No more disposable batteries! 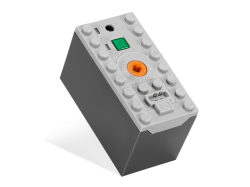 This rechargeable battery box has built-in Lithium polymer batteries f..
Take command of your LEGO models with this remote control. 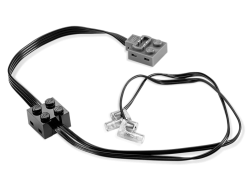 Add a LEGO Power Functions IR Receiver, b.. 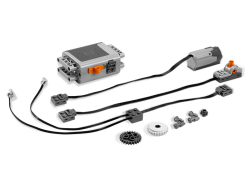 Build an extra medium-strength, medium-sized M-Motor into your LEGO® creations and watch things star.. 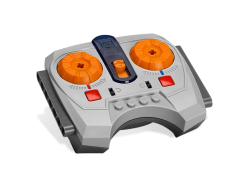 Build this LEGO Power Functions IR receiver into your LEGO models and add amazing movement and funct..